A quality leather boot can be a lifelong possession, even a generational heirloom. To endure the rigors of abuse the boot must be made from the toughest leather, sewn well, and very comfortable. How well does the Wolverine 1000 Mile Boot stack up to 2,640,000 footsteps? The thread holding the boot together is white marine grade thread, the same type used in sails and Saddleback Leather products. With some boots you get inexpensive laces, with the 1000 Mile Boot you get waxed laces made from short-weave cotton. They will not be disintegrating any time soon. When they do some different color laces may add an appealing level of colorific contrast. Another option are Leather Laces. Leather soled boots tend to encounter a contradiction in purpose because of their rugged construction and yet their lack of traction and dislike of water. No doubt this is a consideration, but the application of high quality wax from Obenauf will waterproof and protect the leather. Having your cobbler install a Vibram Rubber Half Sole is also an option for increasing traction. With proper protection these boots will stand up to intense physical or liquid abuse (as will all quality leather). 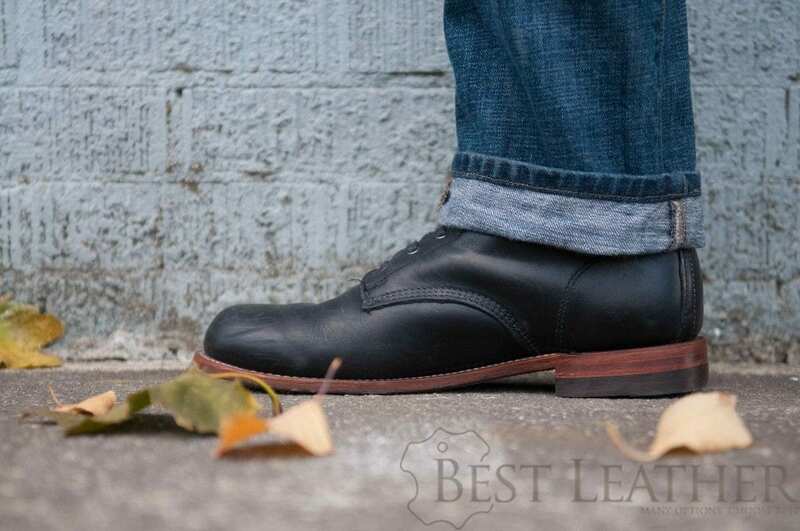 If you need good traction from your boot and you want the characteristics of the 1000 Mile Boot then investigate the Red Wing Beckman, it has a rubber sole and is slightly cheaper. 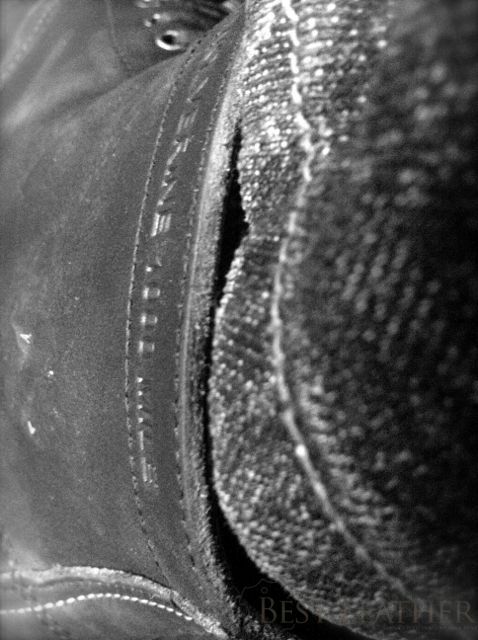 However, the Beckman does not have the Chromexcel leather which is an important selling point for the 1000 Mile Boot. It has the look of being custom or handmade but still has consistent quality. It isn’t a combat boot or a work boot, it’s an everyday boot. You have two color choices, black or brown. Both are stunning. Black provides a nice contrast in color in the sole and body of the boot, not to mention the rest of your attire. Interestingly, the black boots can be worn formally if shined properly. Brown goes well with anything and always looks manly. For conditioning the leather Horween recommends plain Neatsfoot Oil for their Chromexcel leather. These are spendy boots, perhaps too much so for the limited functionality (water and traction). However, if you normally keep dry and value their awesome quality this may be the perfect daily boot for you. Just don’t go logging in them. You can find them new on Amazon . Make sure you read the one year cleaning/conditioning article on them. Update: After a year of use, this is what they look like as I clean and condition them. 14 Comments on "Wolverine 1000 Mile Boots Review"